Teaching Digital Citizenship is a free, new tool that educators can use to keep kids safer online. Teaching Digital Citizenship is a self-paced, online training program to help educators, law-enforcement officers, and others teach Internet safety and prepare children ages 5-17 to be better digital citizens. This training can help anyone involved with educating children understand the risks kids face online and how to empower them to be responsible digital citizens. The course is self-paced, consists of a series of videos and quizzes that take about an hour to complete. Upon completion, participants will receive a certificate that can be used to apply for continuing education credits. 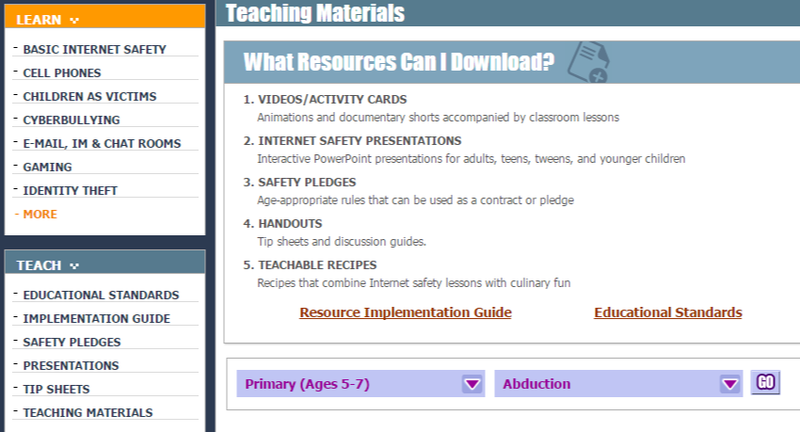 There is also an Educator Resource page that has presentations, lesson plans and more to help teach students online safety. The resources are sorted by type and by standards and grade level. These days, it is even more important to help our students stay safe online.